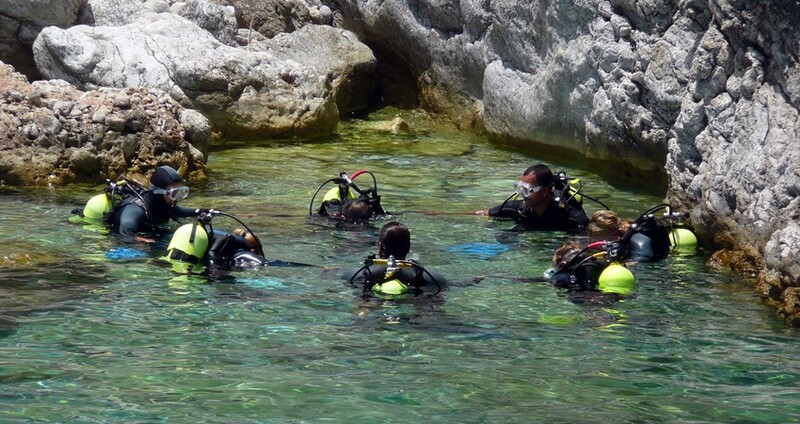 Turunc Diving Tour is a unique chance to learn how to do scuba dive, feed the fish, swim at the gorgeous coast line of the mediterranean sea. Turunc Diving Tour starts with a free ride from your hotel in Turunc. 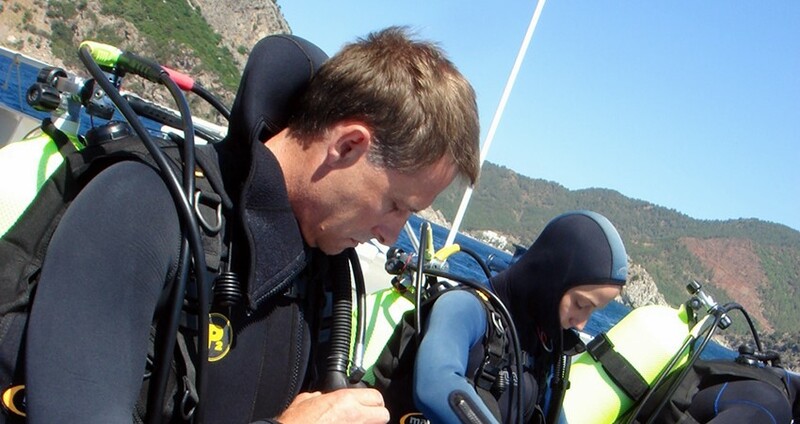 Our driver will pick you up for a comfortable drive to Icmeler harbor, where our certified diving guide will be waiting to show some necessary details concerning your safety during the upcoming diving tour. You will get to know the parts of your equipment, and learn some basics about their usage. 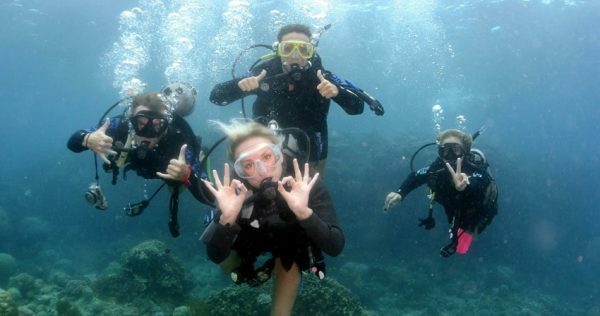 Our skilful and experienced instructors will teach you some underwater sign language and fill you in on some safety protocols. Your safety is our top priority, so we have prepared a set of breathing exercises which will make the diving itself much more relaxing. Our instructors will be watching you the whole time, so you don’t have to worry about any unpleasant surprises. After your short training is over, our tour can begin. You will dive as small groups as 5 or upto 6 people each time. While the other guests are doing thier scuba dive, you can enjoy the sun and the sea. We will make some stops along the way, and visit some of the most fascinating bays. Turunc offers an array of fantastic diving opportunities. Non-divers are welcomed to Turunc Diving Tour as well. They are free to sunbathe on the boat or swim, snorkel, while others dive. Once our adventure ends, and we reach the Icmeler harbor, our driver will be there to pick you up for a ride back to your hotel. We organize these awesome tours daily, so book it to reserve your spot on this terrific and unique tour. Let us take you on an adventure which will make this vacation, the best you ever had. Turunc Diving Tour starts at about 09:00, with a complementary pick from your hotel in Turunc and take you to the harbor. At the harbor, we will board our lovely boat and set sail into the clear blue waters of the Mediterranean. 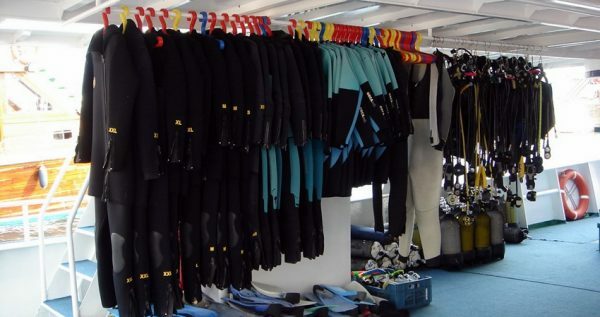 Our skilled experienced diving instructors will give you a short but valuable briefing about our upcoming adventure. They will give you some basics about the diving itself and some underwater sign language. Afterwards, you will get to test your underwater abilities. 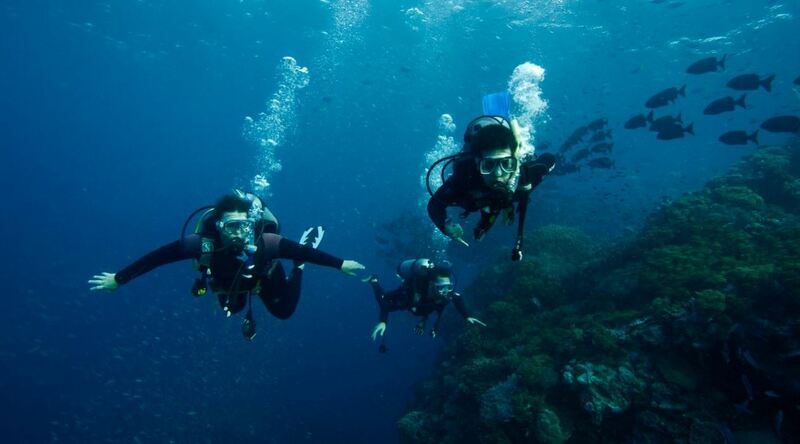 Diving is performed in groups of 5-6 people, under the constant supervision of our professional diving team. Firs dive lasts for 20 minutes. During this dive you will get more comfortable with your equipment and get a better sense of your surroundings and your underwater capability. After the first dive we will have a light but delicious lunch. 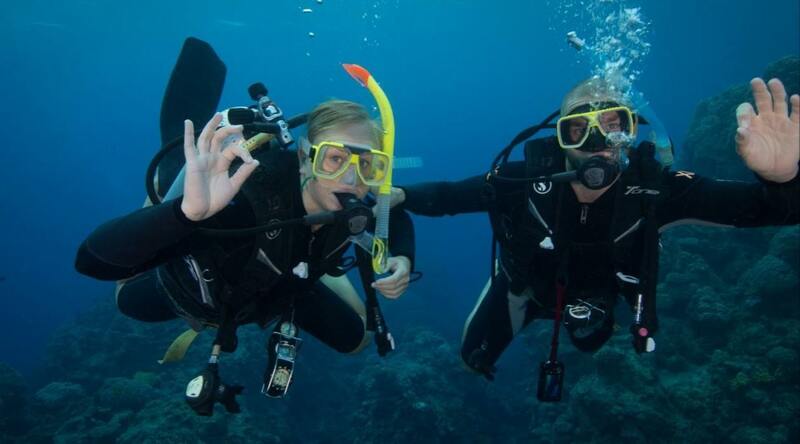 You will need to maintain a certain dynamic when diving, so we always advise our guest to eat light and healthy food. After our lunch break, we will dive once more. 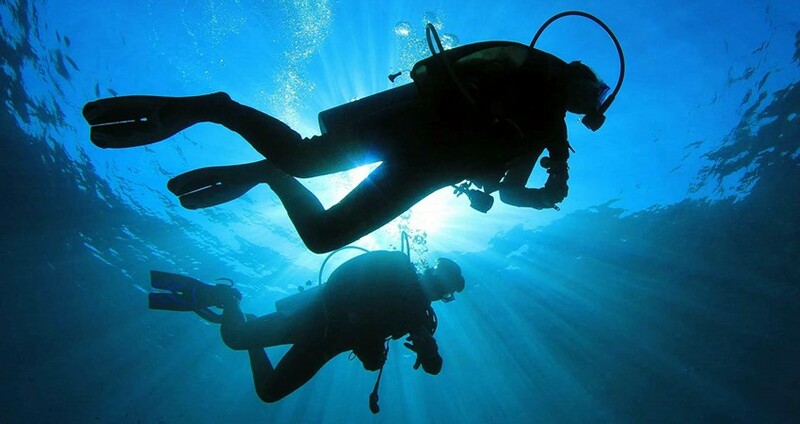 During this second escapade, you will get to dive deeper, but diving up to 6 meters deep is the limit for novice divers. Divers with certificates are allowed to dive as deep as their expertise lets them. 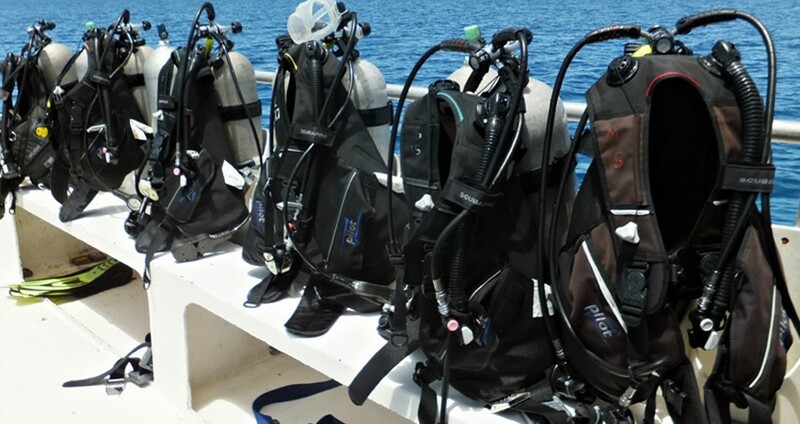 Our skilled team of experienced divers will be with you throughout this exciting dive as well, because your safety is our top concern. 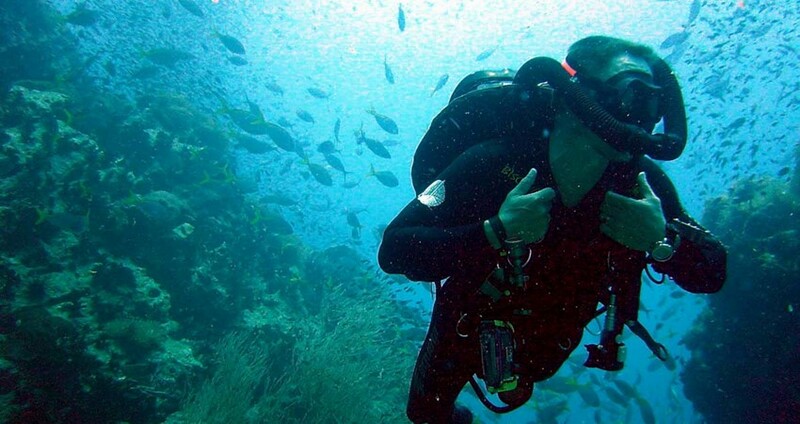 You will be calmer during this dive, as you already took one dive before, so you will get a chance to explore some underwater caves, colorful seafloor, some interesting reefs and you will even be able to feed the exotic fish that you encounter. This dive lasts for twenty minutes as well. We expect to be back at the harbor by 5pm. Our driver will then pick you up and take you back to the bus station where you can catch a dolmus back to Turunc. If you like adventures Turunc Rafting Tour can be another good day out.